What happens when we drive that makes some of us take personal offense to every little thing? Why is that rather than continue on their daily schedule after a mistake or affront by another driver, some drivers will decide that they need to hurl insults at or engage in fisticuffs with the object of their ire? Why is it, to paraphrase Mario Puzo's Don Corleone , some (wo)men feel a need to attack and fight people whose capacities they do not know? I don't know the answer to these questions. But I do know that people who behave like that, who run around telling the world, kill me if you can, sometimes run into people who will happily take them up on their offer. Florida is a stand your ground state. If the attacked woman had pulled out her licensed weapon and defended herself I would have voted to acquit were I on the jury. In any event, this is an example of why leaving your car is never a good idea. Mikaela Barboza was headed down 441 on her way to a meeting when she cut another driver off. 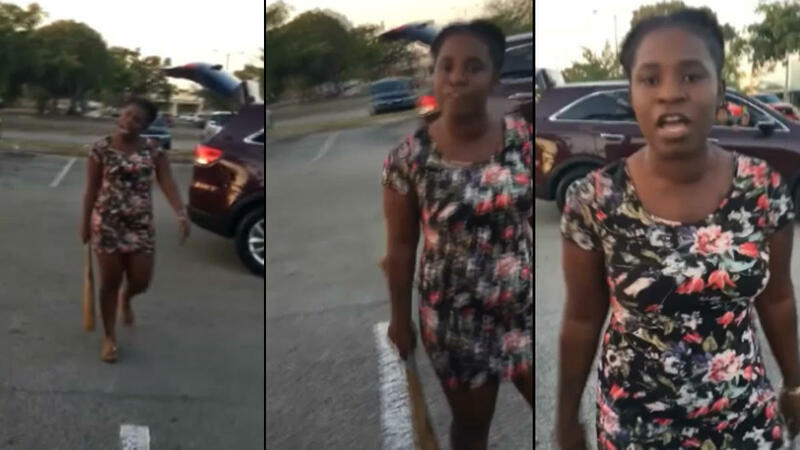 That, Barboza said, is was what spurred the driver and her sister to follow the 26-year-old to a parking lot and beat her with baseball bats.The attack — caught on camera by Barboza and a bystander — left her with a broken nose, seven staples in the back of her head and seven stitches in the front. Worried for her safety, Barboza pulled into a nearby parking lot, but the women followed. She said they blocked her in — one car behind her and one car in front. Barboza, of Plantation, called the police, then stepped out of her car holding her cell phone to record video. “I don’t got time for this. I got a kid, bruh,” Barboza said as the camera swings up to reveal a woman in a floral dress opening her trunk. “I got a kid too,” the woman said, now advancing toward Barboza with a wooden baseball bat in hand. A small boy can be seen in the front seat of the woman’s car, watching the scene. “I don’t give a f---.” The angry woman starts cursing at Barboza, threatening to “f--- her a-- up.” Out of the corner of the camera view, another woman is visible walking toward the pair, holding something in her hand. “I’m not scared,” Barboza said. At that moment, the camera goes flying. It’s the moment the second woman, in a red sweatshirt, hit her in the head with a metal bat, she said. Bystander video taken by an acquaintance of Barboza’s picks up where the first one leaves off. It shows the two women struggling on the ground as other witnesses rush to break up the fight.“We were kind of wrestling and the other sister with the other bat came over and started beating me over the head,” Barboza said.